I liked this collection of short stories better than Franny and Zooey, and I enjoyed learning more about members of the Glass family. Some of the stories are better than others, but it's hard to beat the bombshell opening story, A Perfect Day for Bananafish (that ending will stick with me forever). I've read very few short stories in my life, but this book really made me appreciate the short story as a deceptively simple art form. It has to be harder to be concise than verbose, but Salinger is a master at establishing and drawing you into a story immediately. I still didn't really get about half of what I read but I've come to accept this with Salinger—and the other half that I did get, I loved, which is more than worth the effort. I really wanted to love this book more than I did, but it was still a worthwhile read. Hinshaw's father disappeared for long periods during his childhood, and it wasn't until he was older that he found out that his father had been committed to various mental hospitals. What was initially diagnosed as schizophrenia is later re-diagnosed as bipolar disorder, thanks in part to Hinshaw's advocacy on his father's behalf. The parts concerning family stigma were the most interesting to me and it's a little-discussed facet of mental illness that is definitely worth exploring. This book was recommended to me after my post about the Westminster Dog Show, and my only regret is that I didn't read it before I went. I was skeptical that I would be interested in a long book about an Australian Shepard—a breed I don't have any connection to, or affinity for—but I was immediately hooked. The world of dog shows is so fascinating to me and I learned so much about the inner workings that will be very helpful if I ever get to another show. I still think dog show people are a little nutty, but now I appreciate the passion and obsession for detail that exists behind the scenes so much more. I reserved this book based on a recommendation from a co-worker, only knowing that it was about Hurricane Katrina. I've been interested in Katrina stories since I read Five Days at Memorial, and this book turned out to be just as gripping. 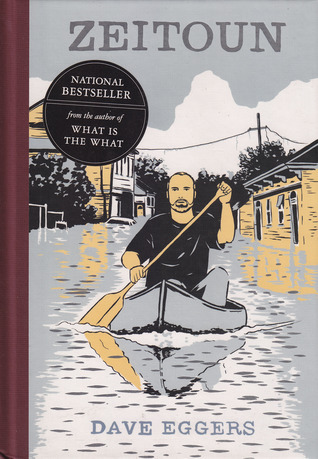 I was hooked immediately by the Zeitoun (pronounced Zay-toon) family and I continually shook my head in disbelief at the events that unfolded in New Orleans, post-Katrina. I knew it was bad down there but I didn't realize how bad until I read about Zeitoun's wrongful imprisonment and my mind is blown at just how quickly an otherwise civilized society can fall off the rails. This book should be required reading for anyone in the US and my heart breaks for the Zeitouns and the thousands of others who went or will go through similar—or even worse—experiences at the mercy of a broken and xenophobic system. This much-lauded book was on my radar for a while, but I finally pulled the trigger and reserved a copy from the library when it was recommended to me based on my interest in cults and the macabre. 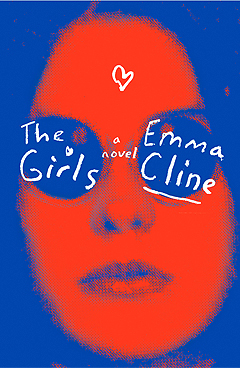 The Girls is the story of Evie Boyd, a fictionalized Manson girl that managed to narrowly avoid participating in the murders during the summer of 1969. Names and details have been changed (Charles Manson is "Russell," and Dennis Wilson is "Mitch"), but the perspective of 14-year-old Evie is an interesting lens through which to view the notorious ranch and other family members. As interested as I am in all things Manson-related, I almost think that the book would have been stronger if it hadn't drawn its inspiration from the real-life cult. I grew a bit weary of Cline's wordy and sometimes pretentious prose by the end of the book, but her insights on what it's like to be a teenage girl are the real standout in this debut novel.